Vivek and Divyanka recently tied the knot and enter the wedlock in Divyanka’s hometown, Bhopal. 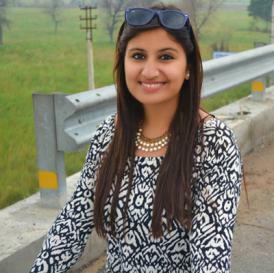 All their pre-wedding functions were done keeping in mind all the rituals and traditions. Vivek’s haldi ceremony took place ton July 8 in the morning. Vivek’s haldi pictures are giving major competition to his ladylove’s haldi pictures. Vivek was looking adorable in orange kurta with haldi all over his face. 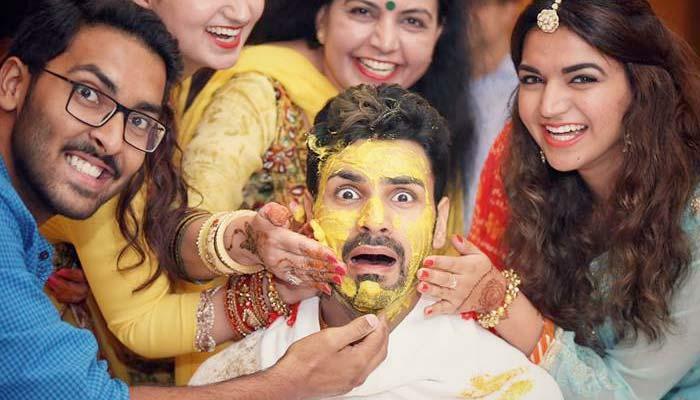 In these pictures, Vivek seems to be enjoying a lot with his family and close friends smearing his face with haldi. The groom-to-be looks very happy in every picture from the ceremony. 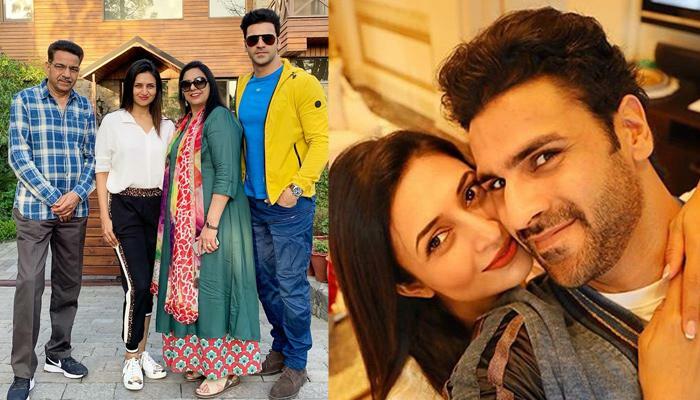 After their lavish wedding in Bhopal (Divyanka’s hometown) on July 8, the gorgeous newlyweds, Divyanka and Vivek, had headed to Chandigarh (Vivek’s hometown) for their wedding reception on July 10. The couple will be throwing a reception party in Mumbai on July 14, 2016, for all their industry friends. It is going to be a completely star-studded event, and we are eagerly looking forward to it.